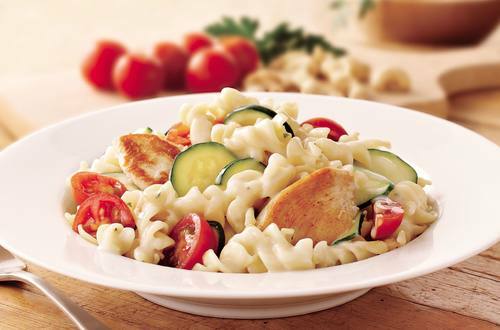 Cook up a delicious alfredo recipe with cherry tomatoes, zucchini and chicken. The perfect meal for the whole family, prepare and cook in just 20 minutes. 1 Brown chicken in a little olive oil. 3 Add zucchini and tomatoes for the last few minutes of cooking.